AND THE FINEST QUALITY BELGIAN CHOCOLATE. The Botticelli brand has been synonymous with quality and taste for over 20 years. Our Hedgehogs are a Canadian favourite. Hedgehogs are milk chocolate with a creamy truffle centre. Dessert Cups - Fill with your favourite dessert such as fruit, mousse, sorbet, custard or pudding. 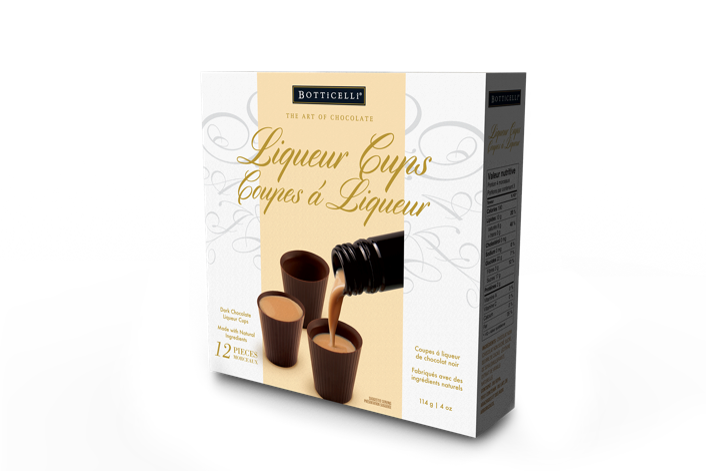 Liqueur Cups - fill with your favourite cold festive beverage.